Learn the inside secrets that the pros are using to generate more qualified leads online in the B2B space. 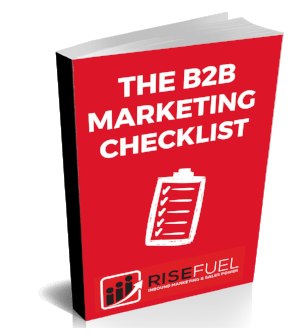 This actionable checklist lays out all of the secrets we use everyday to help companies selling B2B to build a scalable marketing strategy. This checklist is only meant for marketers who are seriously interested in building a strategy that will attract more traffic, leads, and sales through their website. If you're just looking for more tactics to add to your scattered approach, this won't be helpful. But, if you are serious about learning this new approach from the checklist that we use everyday to help our clients win with inbound marketing, then get cracking and fill out the form to your right. Submit the form to download instantly.